Cherry is known for making quality products and this wrist rest is no exception. 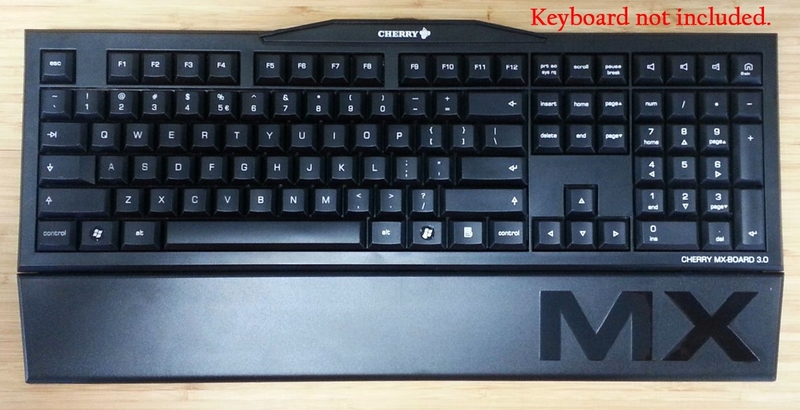 Original accessory for the Cherry MX Board 2.0 and 3.0 keyboards. Ergonomically optimised palm rest to support the natural position of the hand while typing. * Free shipping applies to standard continental US orders. Paid expedited and International options are also available. Don't buy this. It's made of cheap flimsy plastic. I returned it immediately. Submit your e-mail address to receive free updates and promotions.